For more than 65 years, Wood Mode has been providing discerning homeowners with the finest custom cabinetry, furniture, and architectural detailing available. Whether for the kitchen, bath, or any other room in the home, Wood Mode Fine Cabinetry offers a broad array of design choices, allowing homeowners the utmost flexibility in fashioning the exact look they desire. Made-to-order cabinetry at a less-than-custom price. You don’t have to settle for mass-produced stock cabinetry. Affordable Brookhaven by Wood Mode gives you greater flexibility, more variety, and more choices in sizes, finishes, and special-purpose cabinetry. 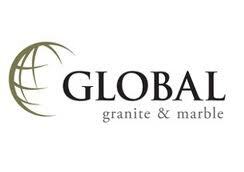 For over a decade, Global Granite & Marble has been importing the finest quality natural stone products from the world’s best quarries and processors. Located in Louisville we are your source for granite, marble, travertine, and porcelain tile or slabs. With applications ranging from polished kitchen countertops to an elegant marble vanity to rustic slate flooring, natural stone is an abundant, beautiful natural resource which can lend its permanence to any design. Ask any AGA owner to tell you what they love about their AGA cooker and you’ll soon realise that for them it’s much more than a kitchen appliance – it’s a way of life, and a gentle one at that.The simple fact is that an AGA cooker is beautifully versatile – it’s easy to use, a joy to live with and produces wonderfully delicious food. And of course, it’s a British design icon too. There really is no other household appliance that inspires the same depth of loyalty and emotion or that over time has become synonymous with the warmth and comfort of home. “At the heart of your home” the world’s finest appliances for discerning home owners. State-of-the-art products designed to exceed all performance, design and durability expectations. Superb cooking, refrigeration, coffee systems, dishwashers, laundry and vacuums cleaners.